PRP therapy can be combined with, microdermabrasion, chemical peels, Restylane, Juvederm, BOTOX® Cosmetic, and/or Dysport® to best target a patient’s unique issues and thus achieve the final goal of younger looking skin. Maintenance PRP treatments should be given over time. Platelets are the cells in the blood that help tissue to heal and grow new cells. The PRP, injected into specific areas of the skin, act as a matrix that promotes your own collagen to grow, regenerates tissue, and thus acts as to naturally smooth and tighten the skin. In this way, PRP softens wrinkles to create smoother skin texture and tone. PRP stimulates your own collagen to grow for total facial rejuvenation rather than individual wrinkle improvement. PRP is used for volumizing faces that are beginning to look drawn, to plump out cheek indentations, soften under eye hollows , improve skin tone, tightness, and texture, and fill in areas where hyaluronic acid fillers cannot reach or are not safe to use. A small amount of blood will be drawn from you. While the PRP is being prepared, your skin will be cleansed and prepared for the treatment. The injections take a few moments, and are only mildly uncomfortable. The procedure is quick, relatively painless, and requires no post procedure care or time off from daily events. Mild swelling, redness, or bruising fade within 1-3 days. 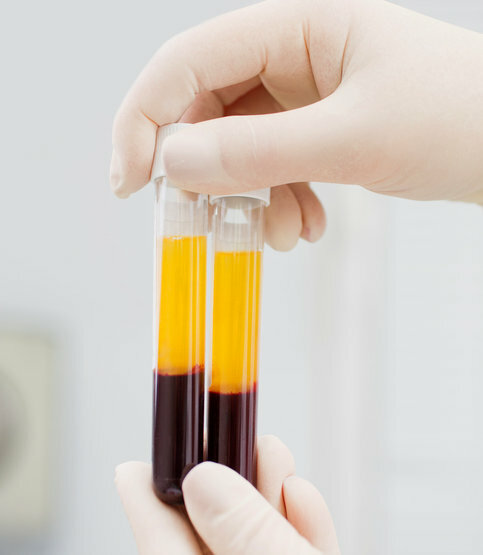 The PRP is made from your own cells.